“Journalists asked church leaders about their relationship with the Catholic Church. ‘Should the pope be worried’ now that there is a Latter-day Saint temple in Rome, CNN’s Delia Gallagher asked. It must be understood that distinct religions disagree on some points – that’s why various faith organizations are separate. For example, some religions believe in using musical instruments in their worship services, while others don’t. Some believe baptism should be performed by immersion, others by sprinkling. Some divisions are deep, cutting to the core of the doctrine of who Christ is or the content of the Gospel. But even with such important disagreements on the table, adherents can (and should) remain “friendly” (i.e., pleasant with one another). This is likely the kind of friendliness to which LDS apostle Rasband referred, because Mormonism has historically seen Catholicism as abhorrent to God and LDS leaders have not minced words in proclaiming that belief. Mr. McConkie’s 1958 edition of his encyclopedic book, Mormon Doctrine, directed readers who were interested in “Catholicism” to “See Church of the Devil” (108). But Bruce McConkie is not the only authoritative Mormon to teach this LDS doctrine regarding the Catholic Church with such clarity. It’s good that public relations between the LDS church and the Catholic Church are “friendly” today; this world needs more cordiality between people and organizations who harbor disagreements. But don’t be fooled. 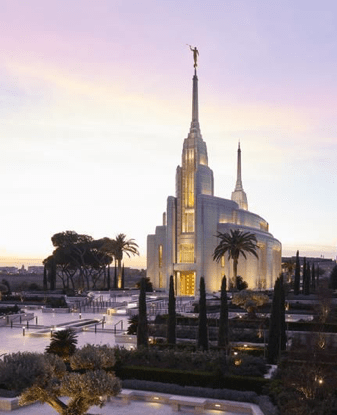 Behind the friendly façade, the Mormon church’s disparaging doctrine regarding Catholicism as reflected in the teachings of its prophets, seers, and revelators is not friendly at all.